Have the fall fashion magazines taken over your coffee table? The pages and pages of trends that create a leaning tower of fashion in your living room? I hear you. Where do we even start? I think we should start from the bottom, the shoes. I am loving gray suede for fall. It is such a rich neutral that is cool at the same time. Check this price you guys. OTK suede boots for UNDER $75. 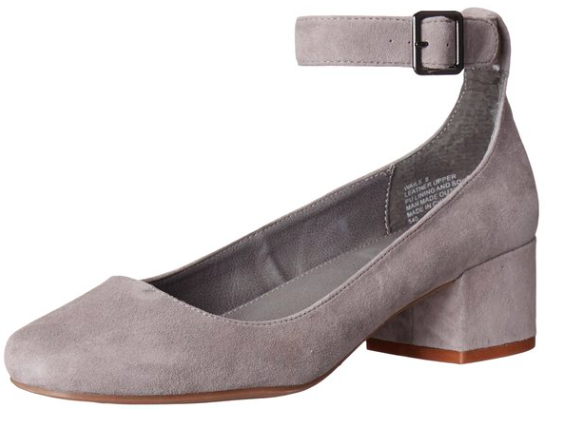 Own that big meeting in comfort and style with these go with everything pumps. Short block heel with an ankle strap. Quirky and sleek. Oh hello lover. We've got the go to shoe for fall, ladies. Tassels FTW. Gray is such an easy color to pair, try with offbeat hues like moss or merlot to really take things to the next level.